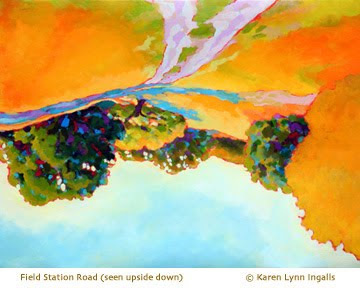 Abstract painter Lynne Taetsch describes a process similar in many ways to that of Jonas Gerard. That is, she turns music up loud and just paints, using big gestures and moving to the music. It's an energetic process that is evident in the feeling of energy in the paintings themselves. In the YouTube video "Why Non-Objective Art? 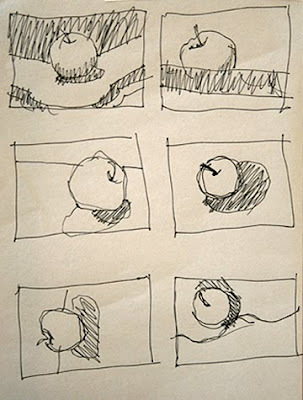 ", taped at a gallery talk at The Edward Hopper House Art Center in Nyack, New York, Taetsch describes how she works in layers, using methods that will be familiar to you from class. After going through the big gestural phase of the painting, she steps back to see what the painting needs. She turns it around in all four directions, not only upside down. She talks also about how everything she sees influences her work – not only art she looks at. Colors and symbols are important to her. But what is most important to her is the experience of painting, the process itself – she has no idea, when she's beginning, of where the painting will lead her. She also talks about how she doesn't think in words when she's painting – she thinks visually. It's the difference between getting out of our linear, logical, right-brained mode of thinking and shifting into visual, holistic, left-brained processing. Different painters have different ways of making that shift – painting to music is a good method. It's a wonderful, thoughtful conversation about how painters paint and what goes into the process of creating art. You can also see Lynne Taetsch talk about her painting process, especially about working in left-brain mode, and abstract art in the video "Painting Abstract Art." 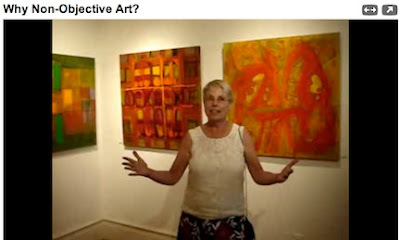 You can find her work online both in the video "Modern Art: Paintings by Lynne Taetsch," and at her website ArtByLT.com. Ever feel like you need to loosen up in your painting? Wish you could get out of your mind and just paint? Just dance with the brush? Watch painter Jonas Gerard on YouTube. Seeing his painting process is inspirational – and it makes you want to get up, grab a brush, turn on your favorite music, and paint away. 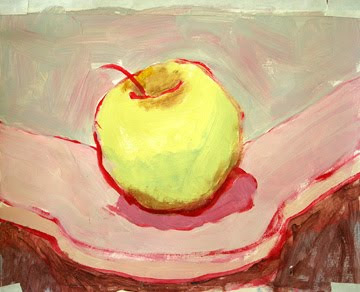 "You learn to trust – and that everything happens for a reason," he says, in the video Jonas Gerard – Asheville Painter. "Give up results – give up planning — give up worry – and, a big one — a big, big one — give up fear." "Painting fast gives you – gives the opportunity for the mind to be quiet. ... It shuts off... it goes on, 'All right – let him do his thing.'" Jonas Gerard Live Painting shows, in time lapse, the creation of two very large paintings, one a museum-sized triptych, followed by a series of still photographs of some of his large paintings. 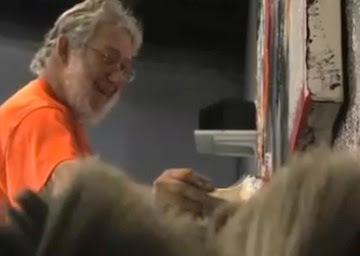 There are also more videos of Gerard painting and being interviewed, which can be found by searching for "Jonas Gerard" at www.YouTube.com. Fall is just about over – and we've been lucky to have some spectacular colors this year. 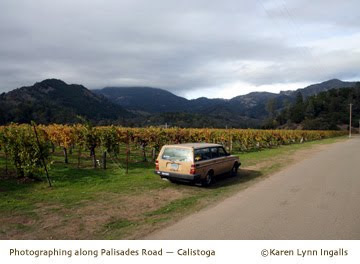 The photograph above was taken on Palisades Road, just northeast of Calistoga, off the Silverado Trail – a great place to explore with a camera if you haven't yet. As winter moves in, and the grape leaves brown and fall, you can still get some beautiful shots with stormy, cloudy skies – interesting, moody photographs that could be good inspiration for your work. And before long, mustard will be blooming between the winter vines. At the Napa Valley Open Studios opening last night, at Mumm Napa's Fine Art Gallery, I discovered that my painting was hung next to that of Earl Thollander (http://www.nvopenstudios.com/artists/68/). His painting, Winter Grapevine, is a wonderful example of his work. For any who might not know, Earl Thollander was a master of drawing and watercolor. He compiled his drawings and sketches of rural California into wonderful (and very popular) books, long in print, beginning with Back Roads of California, and then Barns of California. His work influenced me and many others, and he was much beloved by those who knew him. Unfortunately, he died in 2001. His family is opening his studio to the public this year - my only regret is that I won't be able to go then. But Open Studios artist and master of pen and ink Nick Cann (www.nickcann.com), Peg Cann, and I will visit after Open Studios is over - something I am very much looking forward to. I never met Earl Thollander, but I first heard about him from my grandmother. His parents and my grandparents were friends - all Swedes from Cloverdale. After my grandparents moved to Santa Rosa, when Earl would drive his parents down to Santa Rosa, he would bring them over to visit. I always heard about these visits; this was how my grandmother introduced me to his artwork. She and my grandfather gave me an autographed copy of Bug Haiku, which he illustrated. His wonderful, free, expressive use of line enchanted and influenced me. I have always had the utmost respect for his work, and was sorry I never met him. This year's opening reception for Napa Valley Open Studios will be held Friday, August 28th, from 6:30 to 8:30 p.m. at Mumm Napa Fine Art Gallery. Tickets are $15, which go to support the good works of Arts Council Napa Valley. Mumm's is at 8445 Silverado Trail, Rutherford, California. I saw the work artists were dropping off yesterday for the show - it will be a good show! We are lucky to have James Orlando curating it again this year. I have heard that honorary co-chairs Eleanor Coppola and Kathryn Hall have been working hard to make this year even better for everyone. You can view the website at www.nvopenstudios.com. The Arts Council's website is at www.artscouncilnapavalley.org (and there's that photo of me, too!). Countdown to Napa Valley Open Studios! Napa Valley Open Studios is just around the corner, and Open Studios artists like me are busy preparing for it. The catalogs just came out (they are gorgeous). You can also see who the participating artists are, and where to find them, at www.nvopenstudios.com. If you love plein air painting (landscape painting done on location), check out the website for this year's Napa Valley Art Festival at www.napavalleyartfestival.com. Although this year's festival has ended, the website features links to all the artists who participated. You can follow them to see the work of Calistoga artist Paul Youngman (www.paulyoungman.com); Camille Przewodek (www.przewodek.com), from Petaluma; Jeanette LeGrue (www.legrue.com), who lives in Tomales and shows at Lee Youngman Galleries (www.leeyoungmangalleries.com); and Timothy Horn (www.horndesign.com) from Fairfax, among a large roster of wonderful artists. While you're there, please don't miss the website of Beverly Wilson (www.beverlywilson.com), a California colorist (and perhaps the only one on the list who is not a plein air painter) whose work continually takes my breath away. Beverly, who lives near Napa, is preparing for Napa Valley Open Studios (http://www.nvopenstudios.com) during the last two weekends of September. It's a wonderful time to visit her and see her paintings and studio in person. Umm, now where are those classes? The Calistoga Art Center is moving! To my students, who will be receiving flyers any day now with the new location and directions - hang on to those directions. They will come in handy later. The very latest word is that remodeling will keep us in the old location a little longer - in the white building on Lincoln Avenue (formerly shared with the Visitors' Center), next to the railroad cars, and across the street from CalMart and Dr. Wilkinson's. Good news! Napa Valley College is continuing to offer its free community education classes, which include the adult art classes at the Calistoga Art Center. And they begin next week! I will be teaching two sections of Acrylic Painting Workshop - one on Wednesday afternoons (starting August 19th, 2009th) from 1:00 to 4:00, and one on Fridays (starting August 21st) from 1:00 to 4:00. The college catalog mistakenly listed the Friday course as a Mixed Media Painting class (which it was during the summer). Ooops! I will be glad to work with anyone who wants to take the class as a Mixed Media class, though. 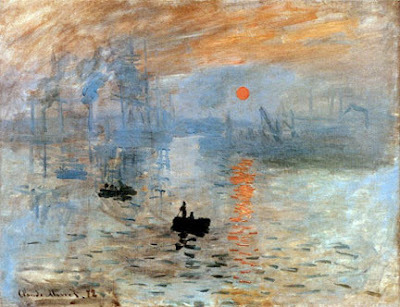 Impressionist Paintings Coming to San Francisco! San Francisco will be one of the beneficiaries of an upcoming renovation of Paris's Musee d'Orsay. The museum, which holds perhaps the world's most extensive collection of Impressionist and Post-Impressionist Painters (correct me if I'm wrong! ), is sending over 200 paintings from their collection on tour during the renovation - in two separate shows, both of which will come to San Francisco's M.H. de Young Memorial Museum. "Birth of Impressionism: Masterpieces From the Musee d'Orsay" opens next spring, on May 22, 2010, and runs through September 6, 2010. "Van Gogh, Gauguin, Cezanne and Beyond: Post-Impressionist Masterpieces From the Musee d'Orsay" opens soon after, on September 25, 2010, and runs through January 18, 2011. 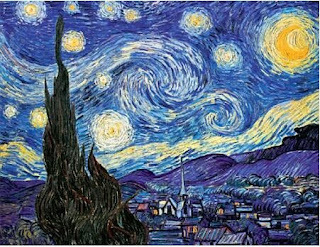 Yes, Vincent Van Gogh's Starry Night, pictured above, will be part of the exhibition. This is truly a show to plan ahead for - I know I will! There is room for a few more people in the Mixed Media Painting Workshop class I am teaching at the Calistoga Art Center, through Napa Valley College's Community Education program. We'll be exploring the techniques of photo transfer, collage, soft block printing, relief printing, and acrylic painting, and combine them in mixed media art pieces. We may also explore the use of metal leaf, stenciling, and an encaustic-like process, depending on student interest and time. The class is designed for students at all levels who want to discover, experiment with, and combine new methods and materials. It will be held for six more Fridays in June and July, and is offered free to students through Napa Valley College. You can find more information at www.calistogaartcenter.org, or by calling them at (707) 942-2ART. Yesterday, six painters from Calistoga, Yountville, and Hidden Valley gathered for the first plein air paint-out at Graeser Winery, just west of Calistoga. There are so many views to choose from there.... I'll post photos later. They've faithfully represented a time in Western art that ushered in more changes than the artists would ever have expected, seen through the eyes of Claude Monet ("only an eye - but what an eye," as Paul Cezanne said of him). The Calistoga Art Center will hold its spring student art show and potluck on Thursday, May 21st, from 5:30 to 7:30, for current and prospective students. It's a great opportunity to see what many of the students are doing in the Acrylic and Plein Air Painting, Drawing, and Ceramic classes offered through Napa Valley College's Community Education program. You can also talk to the teachers (like me - I teach Acrylic Painting) and find out if they and their teaching would be a good fit for you. You can also find out about new classes offered for summer, including Papermaking classes taught by Sequoia Buck and my new Mixed Media Acrylic Painting class. The student art show will also be open for viewing during the First Thursday Artwalk on Thursday, June 4th, from 5:00 to 7:00 p.m.
Because the work of the French Impressionists is so familiar to us today, it is hard to imagine their artwork being considered shocking or revolutionary without looking at the kind of painting most of their contemporaries were familiar with. Now we are used to the landscapes painted en plein aire by Claude Monet. But to the painters of the French Academy, landscape painting was less well regarded, by far, than paintings depicting classical history or mythology or Biblical subjects. 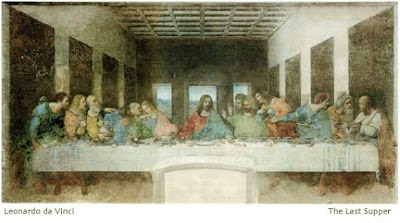 The paintings themselves had smooth surfaces, painted with layers of thin paints and glazes, to minimize the brushwork. 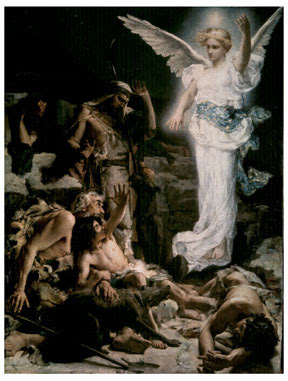 Figures in the paintings were idealized, and were often meant to be allegorical. 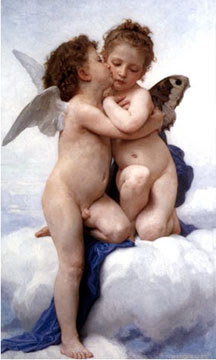 If you compare Comerre's painting above, the 1875 winner of the prestigious Prix de Rome, and the painting by Bouguereau, with Monet's 1873 painting Impression:Sunrise, it is a little easier to see why the newer style shocked people. Its loose, sketchy brushwork was completely foreign to eyes used to the academic style. 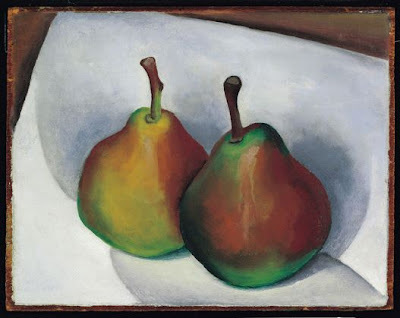 This blog has two purposes: to present resources, information, and images for my students about things we talk about in art classes, and to talk about art and art instruction where I live, in and around Calistoga, California, at the northern end of the Napa Valley. I paint, and I teach painting, through Napa Valley College's Community Education program, at the Calistoga Art Center; and privately, both in individual lessons and to groups in workshops. I have a new session of NVC classes coming up at the beginning of June, both Acrylic Painting and Mixed Media Painting with Acrylics. I'll post more about both soon, but you can also find more information about classes offered at http://www.calistogaartcenter.com.